When it comes to pavement marking, striping, and painting, we have the process down to a science. Call 4062615083 today! 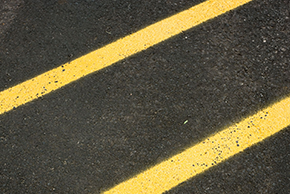 At Pavement Marking we provide a variety of marking services for the Kalispell, MT community. We have over 4 years of experience and we approach every project with strict attention to detail. We will provide any kind of marking on concrete or pavement. We provide professional results that exceed normal expectations. Every project receives our full and uninterrupted attention; that is our promise to our customers. We specialize at providing parking lot striping, middle road painting, and cross walk painting for the Kalispell, MT community. These services are in high demand as new projects are developed or existing locations need to be redone. We have provided numerous road striping projects for the city, county, and federal roadways. We always provide professional results that guarantee customer satisfaction. Our road painting skills are superb and it has made our Pavement Marking team the number one choice in the community for this service and much more. We also provide parking lot striping for the commercial establishments in the business community. Lot striping is a skill that should not be taken lightly. Any amateur can provide this service; only an experienced professional will do it right. We provide professional looking cross walk painting services for the Kalispell, MT community. Image is everything to a business. Our image is important and so are our customers. Our image is reflected in the services we provide for them. Their image is also directly related to the services we provide. If their striping or painting services are not done professionally it will not display a positive image for their business or organization. Pavement Marking is committed to making sure our marking and painting projects always reflect the image our client’s desire. When they look good; we look good. We want our customers to give us a call today to learn more about what we will do for you.